Our local paper had an article about Aplastic Anemia when I was diagnosed and scheduled to go in for treatment. I was diagnosed with Aplastic Anemia in 1997. [Aplastic Anemia is a non-contagious disease that occurs when the bone marrow stops making enough healthy blood cells for the body’s needs.] I am now in complete remission, and I’m pretty confident it won’t come back to challenge me — because it knows it won’t win — it has made me too strong. Aplastic Anemia has shaped my life, and I am now constantly striving for new adventure, and I don’t disregard any new idea that pops into my crazy little head — I’m willing to give it a shot. Because, well, why the heck not!? We’ve got this one life, might as well use it to the fullest! After high school I went on to college at the University of Wisconsin – Stevens Point, where I majored in art with an emphasis in graphic design. I remember visiting the school clinic for a checkup, and the nurse took a finger-prick blood test. I was soon called back in for two more tests, both of which I assumed were standard procedures. Then on one normal, routine day, I sat in line at the clinic to pick up a prescription. A doctor walked up behind me and asked, “Are you Robin Laatsch?” I responded with a “yes,” and he proceeded to tell me that he needed to speak to me in his office. I remember feeling like I was in school, being asked to report to the principal’s office! I said to him, “Oh, you must be mistaken. I’m just here to get a prescription.” But he insisted, so I got up and followed him to his office. On his desk was the Physician’s Desk Reference (a huge, intimidating book), and it was opened to a particular page. THE DIAGNOSIS :: He went on to tell me that from my last few blood tests, he’d noticed a pattern. My blood counts were steadily dropping. He pointed to a page in the book on his desk and said, “I think this might be Aplastic Anemia, and you need to see a specialist immediately.” I don’t remember being scared or freaked out or anything. I just remember thinking, “okay, I’ll just do what this crazy doctor-guy says I should.” Later on I realized that he may have saved my life. If he hadn’t noticed the pattern, I don’t know how I would’ve found out or what may have happened. So I called my parents right from his office phone and told them I needed to see a specialist. It didn’t feel like a big deal to me at the time, so I was probably pretty calm. We set up an appointment with a hematologist at Marshfield Clinic in Marshfield, Wisconsin. VISITING THE HEMATOLOGIST :: The hematologist in Marshfield looked at my low blood counts and requested a bone marrow biopsy right away. They gave me some local anesthetic, then drilled into the back of my pelvic bone and took a small sample to test. The test confirmed that I had Aplastic Anemia. We were told that sometimes this disease can turn itself around when the patient is younger (I was 18), so we were instructed to go home and continue our normal daily lives. I was to have my blood drawn often and have the nurse send the results directly to Marshfield for them to keep an eye on them. After six months of this routine, I had a follow-up appointment in Marshfield. We were introduced to a new doctor, Dr. Lawrence Clouse. His honesty and straightforwardness connected us immediately. He brought us into a private conference room and told us straight out that the situation had worsened. My counts were so low I was going to need transfusions—and I needed treatment immediately. We went over a few different options, and Dr. Clouse set us up with a visit to MAYO clinic in Minnesota for a tour of their bone marrow transplant facilities and to get on the bone marrow donor list. My parents called my brother immediately and he was tested to see if he could be a direct sibling donor, but unfortunately he wasn’t a match. So I was put on the donor list. A bone marrow transplant is the closest thing to a cure for Aplastic Anemia, but it doesn’t work for everyone. These transplants are also very dangerous, and the odds of surviving can sometimes not be very good — especially if the patient doesn’t have a related bone marrow match. I did not have a related match, so the percentage I was given for survival with a transplant was not so good. We opted to try an immunosuppresive treatment instead. In the hospital receiving blood transfusions. TREATMENT BEGINS :: So I was admitted into St. Joseph’s Hospital, which is connected to Marshfield Clinic, in July of 1998. I first had a Hickman catheter put in, which is basically a line that went directly to my heart so I could easily receive transfusions, my treatment, and easily have blood drawn without constantly having to be poked with a needle or given an IV. I underwent my 4-day ATG treatment, and besides a small allergic reaction and a day of uncomfortable hives, I flew through the treatment fairly well. Following the ATG, I was given some pretty heavy-duty drugs (Cyclosporine and Prednisone), and I remember having to take a cupful of pills each day. A BRUSH WITH DEATH :: I ended up suffering from some common side effects from the medications I was taking, and had to rush to Marshfield on a whim every now and then to receive blood transfusions. The biggest event throughout all of this was when I awoke my dad because I was having a seizure. We found out later that seizures are a rare side effect to the medications I was taking, and I unfortunately experienced this scary reaction. I remember that night – I was sleeping in an upper bunk in my bedroom, and I was feeling very restless and uncomfortable, so I got down in the middle of the night to lay on the living room couch. Early that morning, my parents woke up to a weird sound, and found me on the couch seizing. They say my lips were turning blue, and I wasn’t breathing, and when my dad tried to hold me still, I threw him across the room with my thrashing. My friend Tami stayed with me this entire summer, and she got up and called her mother, who lived about 2 miles down the road, and happened to be a First Responder. She was there within minutes, and she is the first thing I remember from that day. She had an oxygen mask on my face and was telling me calmly that I had suffered some seizures. Meanwhile, my mom was on hold with 911 to get an ambulance out to our house, which was 12 miles out of town. But eventually one came out and rushed me up to Park Falls Hospital. I only remember being conscious for two or three very short periods that day. My hematologist from Marshfield was contacted, and I was immediately flown via Life Flight helicopter to St. Joseph’s hospital where I was placed in the ICU. In the hospital during treatment on a “not so good” day. The point in which I truly realized how close I was to death that day, was about a year later when my parents told me that they were asked if they’d like to have a Catholic priest come in and read my last rites in case I didn’t pull through, and they agreed. I can’t imagine what it must have felt like being a parent and having last rites read to your daughter. When I heard this story, it was a strong reminder of how serious this illness is—and that it could have taken my life that day. The first thing I remember is waking up with headaches so bad that I wanted someone to take a hammer to my head. I remember being asked questions, like, “Who is the president?” I remember answering wrong. I remember being asked what my birthday was, and responding with, “Just give me a sec. I know this!” But it just didn’t come to me. It was scary – I lost some of my memory temporarily, but fortunately, I was told by the neurologist that I completely recovered from the seizures. I’m not sure if it’s directly connected, but I still find every now and then that there are things I should remember but just can’t. COMPLETE REMISSION :: Seven years later I was told I was in complete remission by my hematologist. I think when I heard those words, I finally realized the seriousness of what I’d been through. Complete remission meant that I had a life-threatening disease and beat it. Because of my family and friends and many others who didn’t even know me — and all their support, I beat it before I even knew what hit me. I’m lucky. There’s no other way to put it. Because of support, humor, and prayers, I am here today. It is important for me to remember that ATG is not a cure; it is only a treatment. So even though the doctors have told me I’m in complete remission, there is a chance I could relapse any time. I have fully convinced myself that I’ve kicked it for good, but it’s still a “monster in my closet” as I’ve heard another patient once put it. But all I can do is look forward to the future with a huge sense of optimism. Not just for myself, but for the many other people who share this and other Bone Marrow diseases. Thank you so much for your interest, and thank you for reading my story. I am a very open person, and I enjoy sharing my experiences, so any question you might have, I will do my best to answer it. 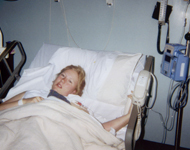 My daughter was diagnosed with AA in 2012 at the age of 19. the experience was too bad. atgam, seizure and all the treatments. unfortunately the treatment affected her joints. she had to replace both her hips and shoulder due to avascular necrosis. but today she is in total remission. no medication she is taking. continue to pray and have faith in Him .we serve GOD that can heal us. Hi Adelaide, am happy for you and your daughter. God is our healer and our saviour. I lost my brother in March 2018 to Aplastic Anaemia. I am struggling to come to terms with his death as it was our first time learning about AA. It all started in September 2017 when he complained of fatigue, nose bleeds and headaches amongst other things. He was being treated at Steve Biko Hospital at his time of death and he was now an Out Patient. One day he woke up feeling dizzy, he couldnt talk. He was rushed to hospital and his white blood cells were depleted and he had an infection. He died the second day after admission leaving his fiance who was 8 months pregnant. It hurts so badly. I urge you all to thank God everyday who wat he has done for you. I hope one day i will also find healing, his depature tore us apart….rest in peace Thabang Mogowane….a golden heart that stopped beating, hard working hands at rest. If it is any encouragement to those newly diagnosed: i have have survived aplastic anemia for 29.5 years and counting. I was 1st diagnosed in august of 1988. I had doctor tell me way back them that i could get the atg treatment but i was going to die anyway so he did not see the point. Well i’ve showed him. I am still alive and determined to out live him. I just finished my 5th atg/cyclosporin treatment and am in remission again. I have had what i call 29 bonus years and am determined to get many more. A positive attitude has always helped me during the bad times. I’ve had counts as low as 5.2 HGB, 0.1 granulocytes, and 3 platelets. The atg has worked 5 times for me. I have had all the fun side effects along the way: sepsis, hives, drug induced disbetes, my kidneys shut down for a day, pmemonia, hives, high fevers, red blood cell transfusions, platelet transfusions, bloody noses, bruising, and fatigue. The treatments are no fun but hang in there and beat the disease. Don’t let it win. In between treatments which were spaced fro 2 years apart to 17 years apart. 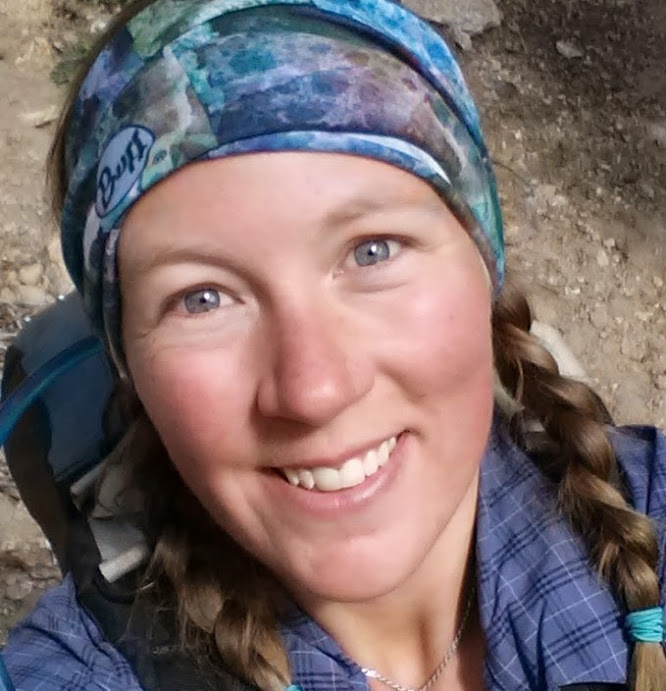 During the remission years i have worked and enjoyed life: caving, backpacking , marriage, raised 2 kids (now 28 & 26), a few beers and many laughs. Good luck to everyone. At the age of 29, I was diagnosed with AA back in late 2009. I had been noticing bruises on places where I couldn’t remember doing anything that would cause a bruise, but I have always been active so I brushed it off. Then one morning, about 5 days later, while brushing my teeth I noticed blood blisters on my gums and inside cheeks. That got my attention. I still felt perfectly healthy though so I went to a dermatology clinic thinking there might be something wrong with my skin. I was assessed, had blood drawn, and was sent home. A couple of hours later, I received a call from the clinic telling me to go straight to the ER and to tell them I have a platelet count of 2, and not to get into an accident on the way. I received the call when I was already on my way to go pick up my 1yr old daughter and wife who was at her own doc appointment after recently being diagnosed with MS, and off we went. Still feeling fine and not really processing what the clinic had said, I casually walked up to the counter at the ER and told them what I was told. They didn’t believe it so they took another blood sample. A few minutes later, they told me to go sit down and not to move because my count was now down to 1!!! The first ATG I was told was a horse blood product and I seemed to be responding well to it so I was sent home about 3 weeks after arriving. I think it was about a week (maybe a little less) later when I tanked and found myself right back in the hospital. The body had rejected the meds. This time, I was given rabbit ATG and another round of hell. I was in for almost 2 months after that undergoing massive amounts of infusions, big stinky cyclo pills, and ingested high amounts and became the monster that is Prednisone. It eventually worked though and I have been healthy now for almost 8yrs. I was told, however, that it could come back one day, and if it does, to mention that I had failed on the horse ATG but was successful with the rabbit products. My doc said that this was very important because not for just the obvious reason (it didn’t work on me), but because it can be very harmful to receive horse products after receiving rabbit products. I am currently an Aerial Photography airplane pilot and haven’t been to the doc in years except for annual visits to the Aviation Medical Examiner to maintain flying status. It’s actually kind of becoming a fading memory of everything my family and I went through during those extremely difficult times. My daughter is healthy and awesome, and my wife has been in remission from her MS for about 6yrs now. For all of you out there who are experiencing AA and everything that comes with it, know that you are in my prayers. My AA and my wife’s MS completely turned our world upside down, but we’ve stayed strong, positive, faithful, and have persevered. There is a great possibility of an enjoyable and fulfilling life after AA. It is a second chance and should be enjoyed to the fullest. I really hope my story can inspire all of you out there experiencing AA. Have Faith, maintain hope, and live on!!! Hello my name is Anne and I am from Australia. March of 2017 I was diagnosed with aplastic anaemia at the age of 45. I received the atgam treatment and watched my counts go from one end of the rainbow to another. I did respond really quite well and quickly from this first episode but on the 9 October this year after a blood test found my platelet level was 0. It is now the 4th of November and my count is still up and down like a yo-yo. My brother-in-law suffering from this disease on the month of may 2017 , His name is Rajkumar age-32 suddenly he is ill and when we admitted him in hospital that time we don’t no what happend within a week he required lot’s of packet of blood and after that treated doctor told us for his blood test where he found he is suffering from aplastic anamia. So he advice us some hospitals name where the treatment of anamia is possible. So I select Mumbai for his treatment and the hospital name is Global hospital parel. We consalt hematologist department doctor Mr.Punit jain who is speceliast of boan Merrow bisopy. My brother-in-law have four siblings unfortunately there is no hla match we found with any of his brother & sister so doctor explain us we can’t go for boan marrow transplant so we have one another process of his treatment which is atg, then doctor start atg treatment in the month of June 2017 after the atg treatment everything is fine and doctor discharge him within 10 to 12 days. He provide some medicine and told us if fever come then you admit him in hospital we said ok after a week my brother-in-law get pain on his leg and fever is 101 so we admitted him in hospital. Doctors do some test and told us his lungs is infected and he provided some medicines which one day cost is approx 20 k INR so we started that medicine which is fight with infection but there is no progress is seen and he got fever always. After a week doctor told us his condition is bad and we shifted him in ICU, He spent 9 days in ICU and within 9 days he is dead. We spent almost 20 to 25 lacs on his treatment. Really u r very lucky, I understand how much pain u have face during the treatment. Thanks so much for your note Daniel. I will be praying for your daughter ‘s complete recovery. Hello, my 9 year old daughter was diagnosed with AA about 4 years ago. She has gone through a lot too, no transplant yet because the immune suppressant therapy seems to keep her levels at a safe state. Right now she is on cyclosporine and fluconozole on a daily basis. It seems to be keeping her safe. And hope to God this will all go away with time and meds. I pray for your son and hope all goes well. It is overwhelming to read all your posts. My 9 year old son has been diagnosed with Aplastic Anemia. He may have to undergo a transplant because the doctors feel that’s the best path for him. He is an amazing kid but sometimes seeing his parents worried , gets a little sad. He has gone through so much already with injections poking on each arm but takes the pain with courage. But he is still a kid and we get worried about him. Hope I come back to post here as he gets better. Living for that day. In the meantime if there is anything you would like to share that I can benefit from, please do- it will be a blessing. I was director agnosed with AA at 22 months of age in 1965. I was treated by oncologists at Children Hospital in Philadelphia. Nobody thought I would pull through. They pumped me full of platelets (daily). For the first 3 moths I was inpatient and then when they thought it was just a matter of time…I went home and we took a daily train trip from Trenton. After being pumped with all kinds of stuff including testosterone and prednisone here I am today at 53 a Miracle Baby girl. Hi, Have you Pregnent any time? My Story is like this. When i was 9 years old, Aplastic anemia happens to me. I was totally cured by Tata memorial hospial. Although i was just of 9 years in 1990, but i remember my treatment is done by some doctors names Dr. Padhak and Dr. Aiyer. Treatment was done by injections, i don’t know name of injections, but today from internet i came to know this was ATG treatment. Treatment completed and my parents bring me back to my home but still my blood counts were not began to develop. But after 1 or 2 months blood counts starts develop by bone marrow and i was totally cured. Once again my BMA done it was normal at that time i was 10 years old. After that i never faced any problem related to my blood count. My CBC was done in 2010 that was perfectly normal TLC 8200 and Platelets 170000 when i was 28 years old. But in 2015 i gone to Gynologist because i can’t concieve now my CBC test happen and i found Hb 7.8, TLC 2800 and Platelets 160000 At that time i was 32 years old. But now in 2015 i was shocked because i don’t feel any problems in my body even with this CBC. I came to now my blood counts are normally less because i gone to gynee for some other reason. Then one physician suggests to test B12, folate, but all were normal. Now doctor done BMA(Bone Marrow Analysis) and result is 30% cellularity. I ask to doctor is it again Aplastic Anemia after 24 years? Doctor answered “No” because normal cellularity is 30% to 70%, but you are still in range. She suggested some iron, multivitamins and folic acid for two or three months and CBC every month. I took medicines only one month after that every month CBC result was same TLC 2600 or 2800 and Plateletes always between 1.4 to 1.6 laks. Again in 2016 i gone to same physian to ask what to do. Then she suggested if these are stable not fallen, there is not a problem but you can consult with Hemotology. Now after hearing all story and seeing all tests results with BMA. Hemotology doctor suggests same medicines and told sometimes Aplastic Anemia comes back but in your case time gap is around 24 years and still your blood counts are stable not falling, just take these medicines 2 or 3 months and test CBC in every 1 or 2 months you are safe, it is not Apalastic anemia. But Now again my question was Can i go for pregnancy? Is there any complications in Pregnancy? So happy you have a beatiful testimony. I had never heard about AA until my only son was diagnosed when he was 23 I was devastated because we come from a very healthy family my parents are 90 and still alive and doing well. He had the ATG and The pills for almost 9 month his blood counts started to go up after a few weeks of treatment with no side effects I thank God and the doctors that helped my son he is now 31 he is a successful attorney and lives happy although I know we will never forget the storm we lived. I had prayed and continue praying you can not imagine who much as a mother it took me 6 years to realize he was fine and to become a normal person. I am so happy to read so many have beat this horrible AA and pray all continue to be well. God bless you all! Hello Everyone – I have suffered from exhaustion and fatigue all my life and never knew why I felt so tired even after I had complete rest. I have been diagnosed with several autoimmune diseases like hypothyroidism, lupus, and other cancers. I have underwent chemo and radiation periodically throughout my life. Even after winning some of my illnesses battles, I still felt exhausted or just not able to get better or heal. Well, My oncologist looked at my blood count and realized how low it was and decided to give me bone marrow biopsy. Not one but two biopsy I had to undergo and they were painful and got the same result for both that I have been diagnosed with aplastic anemia. Now I’m just waiting for the call for my first appointment with the university to receive my first treatment. I am truly scared and I thank you all for your stories and encouragements. I am sick of be tired and sick. Wish me luck. I was diagnosed with SAA in 2010 (28 male at the time). I refused to take ATG even though my doctor said I could die within months… my counts were so low. They were close to zero (HGB 50-60, platelets 3-5, WBC a few hundred altogether). After like 5 months of everyday fights, alternative medicine and soul-searching, and weekly transfusions, the Divine Intervention decided it for me. Now I’m not a religious man, but it was so fate-like that I had to meet this doctor who after learning my situation did her best to convince me to accept the therapy. And she succeeded. I turned my attitude 180 degrees and suddenly I was eager to get the treatment. Which was ATG. I spent 2 months in the hospital and after release my counts started to rise again ever so slowly… I think it took about 5 months to reach where they have been since. HGB 130-140, WBC 4 (altogether), platelets 60-80. When I have an infection, these values drop. Last year I had a virus and they halved, literally. I was frightened. Now I’m home with bronchitis and so far meds don’t do much. I agree with the others. It’s really important to stay positive and be in a supportive environment. You’re a brave young lady, I was diagnosed 2 years ago severe aa had atg no response ended up having unmatched bmt I’m now 15 months Down the road to recovery . Always stay positive remember the good times, trust in God he is the man with a plan.l was 64 when I had the transplant still on medication but doing well , God is good. So happy to have found your blog. I was diagnosed with AA in Sept 2015 at age 41 and underwent ATG. I just celebrated 1 year after being discharged from the hospital. I responded well to the treatment but had a dip in my counts around Easter after having a mild ear infection. I haven’t started tapering yet but finding your story gives me great hope & encouragement this thing can be beat and that I WILL be around to watch my son grow up! Thank you for sharing your story. Great to hear, was her BMT from a relative? Glad she is doing well. God bless. No her donor was not a relative her dad and little sister and I we we not matches for her. We go for 6 months check up in October and we start tapering down the cyclosporine at this appointment. I often say I am going to have a big celebration the day she doesn’t have to take any med. It hasn’t been easy with having a 4yr old to take so many medication. I know as a mother or care taker it’s a lot and I encourage all care takers to take time for themselves. I know thats not easy to do,because when you try to get a break your mind will be on the one you are caring for. But it helps to get a couple hours to yourself. I hope one day they find a cure for Aplastic Anemia I signed my daughter up for extra studies nothing that is harmful to her or will hinder her recovery. I did this in hopes that one day they will find a cure and I don’t want no other families to go thru what we experienced. Expect the worse and hope for the best. I know it’s a harsh saying but it has helped me because I did the opposite. And then I was heart broken because I every time we received test results or lab results I was so shocked.because I always thought there could be no more worse then what was already happening. I know this experience was a huge test with me and my husband also we had to learn to come together. We were at a point where we just argued over everything,because the stress was so high. So husbands and wife’s take time for each other I know this sounds so impossible but make time to go out to eat. I encourage all to be strong !!! I hope my little girl will one day be off her meds. She has been through a lot. She is a strong girl and she is my little 8 year old hero. God bless you and I am very happy for your health success. I posted on September 24th 2015 which was right after I had ATG done. I was asking many questions then because it seemed like it wasn’t working. I think my doctor is considering my situation a success. My counts are much better and I just finished tapering of cyclosporine. I am now on no medication and these are my most recent counts. This is what they were one year ago. Hello, my 8 year old daughter was diagnosed with AA 2 years ago, now it’s been a little over a year since her immune therapy. Now she is currently on cyclosporine and fluconazole. Docs say it’s unknown cause but she was diagnosed with it just 2 months after getting a heppatitis booster shot, any one out there got something similar to that? Your story is very inspiring and I hope and pray that my daughter can one day beat this nightmare. My 4yr old daughter was diagnosed SAA and she had a BMT on April 7th 2016. So far she is doing well all counts are normal. We go for blood checks up 1x a week. We are on cycporine and a mag pill and high blood pressure med. We went to the masonic children’s hospital in Minnesota. DR Jakub Tolar is her transplant/ primary. They have treated my daughter with the best care and the staff there are amazing to work with. They always aways addressed my concern for my daughter there her transplant. wow!! thats crazy, you were so young! I was recently diagnosed with aplastic as well, 2 years ago. I had the transplant 1 year ago, my brother was a donor. You can check out my blog below to see my story! Mine wasn’t as scary as yours thou, I didn’t have any of the side effects besides hair loss. I am praying for the day they say remission. Looks like your doing well now, blessings! I was diagnosed with SAA March 2015. Never really sick before. Platelett counts as low as 3 with numerous platelet and blood transfusions. Classic symptoms, bruising, nose and mouth bleeds. Local oncologist made arrangements for me to go to MD Anderson, 2 hours away. I did the ATG for four days and followed with a regiment of other drugs, including cyclosporine and Promacta. I was in a clinical trial. They consider the trial a success. My platelet count is around 128 but am still on reduced cyclosporine and Promacta. I have monthly appointments and am monitored closely. Its been a journey I’d rather not taken but am blessed to be better. I am 73 years old so this was really the only option for long term treatment. God is good and I intend to continue to give each day my best and some days that is not very good. Hang in there. It helps to talk to someone who’s been there. Hi I was diagnosed with aplastic anemia in April of 2014. Over the course of time I received 4 bone marrow biopsies, cyclosporine, prednisone, folic acid, magnesium, dapsone and some other meds. I found out my platelet count wAs 50 back then and it continues to drop into the 20s. I also had a low hemoglobin count around 10 and an absolute neutrifil count between .5 and 1.2. I tried cyclosporine for about 1 year and it did not work. As I came off cyclosporine my platelets dropped to 17 and nuetrfil .5. 2 weeks ago I was admitted to ICU for ATG for 5 days. Since then I have needed 3 platelet transfusions and my counts continue to drop. How long will it take for this to start to work? If it doesn’t work will my counts go back to where they were or will they keep dropping? The supplements my wife is using to recover her AA is simply a high quality nutrition program, and would be happy to share it with whomever would like. I know for a fact that it is working, but it is slow. It takes 120 days to see a change, simply because blood cells take that long to grow. After that the change has been slow and steady. We have hit a few snags where the levels have dropped again, but they have always been traceable to dietary changes. Many of the problems can be traced back to digestive issues/ lack of absorption in the intestine, and that is difficult to fix, but it can be done. I am a 57 year old mom who was diagnosed last Aug with Aplastic Anemia. my treatment consisted of ATG, cyclosporine, prednisone and Promacta. I was taken off the Promacta six weeks ago and now my levels are beginning to drop again. Did you experience this? Hi. I was dx with moderate to severe AA July 2014. I had been so tired and couldn’t kick a few colds which was unlike me. Went in for routine blood work and got the call from my dr. Been on prednisone (starting at 80 mg daily) and 300 mg cyclosporine. Down to 5 mg of prednisone now still 300 mg of cyclo. I wish someone could have shared all the ugly side effects of prednisone so I knew what was happening. Counts are up but still not normal. I’m so glad to connect with people who are going through this. It was hard hearing because of my age not a candidate for Transplant (I’m now 60). God Bless everyone as we fight this disease. My Brother was suffering from aplastic anemia since last 3 years, we tried much to recover but at the end the result is same. One Ayurvedic Doctor help us to rectify the disease and my brother is now in normal conditions and normal blood count. Since last 2 years he didn’t take any blood transfusion for him. he is a normal person now. This doctor also research for this disease and have complete cure of more than 11 patients out of 10. one patient is now under treatment for 18 months. Wow I sm living in South Africa, do I have to visit Dr. Subhash Singh (Director) in Delhi or can I buy Ayurvedic medicine? I have also been diagnosed with AA this year after finding out I am pregnant with my first child. I don’t believe my condition is that severe as of now but I’ve already had one transfusion, and cannot start treatment until after I have my baby. My blood levels have already dropped back low since the transfusion but it’s only my red blood cells and platelets not my white blood cells. When is this condition considered severe and what should I be looking at? RBC is 2.37 and platelets 25. Doctor seems to only be concerned with HCT which is at 25%. It’s very nerve wracking especially since I’m not only concerned about myself but also the baby. My name is Lavanya, I am also AA patient I was diagnosed in the year 1997 and has gone through all kind of sufferings. it was severe , they started blood transfusions and started with Prednisone but it did not help, so they changed to DANAZOL had adverse effect on me and I was admitted in CMC VELLORE HOSPITAL INDIA EMERGENCY CARE they said this gone be end of my life , so call all her loved ones . My dad said doctor do what ever u could do to save her, if she dies I will take her but now I want u to start with treatment what ever u can do it for her , it was a miracle they say that I was recovering with some few antibiotics, they said her platelets have dropped very low and she is infected with DIANAZOL tablet . I was there for three months I was completely out of mind for 1 month without any conscious,I had to thank all my relatives , My mom , dad and my siblings they were too great to me I love my family they have done so much to me. I am really blessed to have such family . after three months they discharged me and started with cyclosporine for one year it was not helping much with my counts , I put on weight and done with all natural stuffs. Finally they told me to go for ATG because that was my lost hope no bone marrow match found. I was admitted for a week and had ATG and after that no medicine I am doing well. Thanks for sharing all your stories . Priyanka, I was diagnosed in 4/98 at age age of 36 and have had no relapse since. I did the atg for 4 days and cyclosporine for 6 months. keep up the faith. Check out My fight is your fight aplastic anemia on facebook. Wishing you the best! It took me about 6 months for remission,, but I did go back to work in three months on reduced schedule for a year. Hi priyanka, I am also having SAA planned for ATG next week at a Mumbai hospital. How does it feel while ATG is infused? Please reply if you are comfortable to do. Thank you for sharing your story. My 5 year old was diagnosed with aplastic anemia in June. It’s nice to hear a more adult side because she does not express how she feels as well as an adult could. We had the ATG in August and are still praying it works! I am so scared if we have to go down a transplant road. My son (1) unfortunately was not a match but I am pregnant and due in March so we are hoping and praying this one is. Such a scary road to go down. I am so glad you are healthy now! Thank you so much for your story. I have been desperately trying to find people who will discuss their condition before during and after ATG. I was diagnosed with Myelofibrosis in July of 2014 and most recently it appears that it is now aplastic anemia. Another bone marrow biopsy just completed I hope will tell the story. I am robust 68 years old and really don’t know if I want to go through this if it does not leave me in better condition than when I started. I so appreciate all of your comments. If I find any blogs, I will let you know. Carolyn, my mother was roughly your age when she was diagnosed with severe aplastic anemia. She underwent atg and now she is pretty much back to normal. It took a few years of medication, but it was worth it. Hi, my husband is 50 and has been diagnosed this week with Aplastic Anemia. would like to know, is there any aplastic anemia support groups? Check out aamds.org – you’ll get all kinds of info there. It’s a great group of people, and probably the best place to start for finding support. I haven’t been in a group because I was treated quite a while ago, so I’m unable to direct you anywhere specific – but they can at the foundation. If you’re on Facebook, if you do a quick search for aplastic anemia you’ll find a few groups as well. That’s possible memory is affected by aplastic anemia, because of that. Did it affect your blood pressure? It did for me and seems like several others. I used to go on aplastic central to chat, but they shut it down a few years back. Ha,ha I have memory issues too sometimes, but then I am over 50! I have met 4 people with AA. I went to a conference once years back and quite a few of us spoke of memory issues. One guy’s theory was the extended amount of time that our blood counts were low affected it because less blood to the brain during that time — ? I dunno. Could be I guess. Robin your story is amazing! :0) I am glad you are doing so well! It’s a weird disease! My cousin had it four years just before me. Do you have any joint pain? That is my only complaint is that my knees are arthritic. Hi Robin! Just stumbled upon your story and I’m so glad I did. I was diagnosed with severe AA in 2010 when I was 17. My sister was not a match and I also could not find an unrelated donor. I had 10 days of ATG, many many transfusions, and I still take Cyclosporine and a bunch of other pills. I too am incredibly lucky to be alive and well today! I’m so encouraged by your story. It’s hard to live with a chronic disease and be haunted by the fact that relapsing at any time could become a reality. Praying that all of us in remission stay in remission and that those fighting now will pull through. My sister and I are starting a non-profit to try to register as many bone marrow donors in the US as possible. We will be going on the road January 2015 and travelling to hopefully every state. I would love to contact you, talk to you, share your story, etc. Please visit our website – it’s very new and my sister and I are not graphic designers, though we are painters! It’s sharingamericasmarrow.com. I would love to hear from you sometime! Honestly, I am just starting to reach out the the AA community and it’s crazy to know that I’m not the only one fighting this disease. God bless! Thanks for sharing your story Robin. I’m 19 and I was diagnosed with very severe AA late in December 2013. At the same time I was diagnosed with AA, I was suffering from severe pneumonia and the H1N1 flu. I was immediately sent to the ICU and intubated to be treated for my pneumonia, so I feel lucky to be alive at all. I also spent another month hospitalized to recover and treat 2 flu strains. I’m just 3 months into my ATG and cyclosporine treatment and my counts are just barely starting to increase, and my pneumonia is almost gone. Your story was really encouraging and I hope one day I’ll be able to say I beat AA too. Hi. My name is Mike Short and I was diagnosed with AA in December of 2013. I have had the 4 treatments of ATG and currently taking cyclosporine for the past month and a half. As of yet , my blood cells are still pretty low and the side effects from the medicine seems worse than the disease itself. Tired, flu like symptoms, chills , testy eyes etc. can you please tell me how long it took for your cells to increase and do you eventually feel good again like you did prior to getting this disease? Thank you for your time. Michael Short. Staten Island , New York. Hi Mike. I know the side effects you’re talking about. I remember feeling pretty awful for a while. I think my counts started improving after a few months, and got up to near normal after maybe six… early in the treatment is the toughest. I remember traveling an hour one way every other day for transfusions, too. We all react a little different to it, but just hang in there! Hi Sheri, what natural solutions have you used? I also have AA but I haven’t done any treatment. Hi brian and Sheri, I’ve been diagnosed with AA in jan 14. My counts are Hb-10.5%, TLC-3400, Neutrophils-25%, Platelets-35000-40000. The haemet told that it is non severe and presently on cylosporin. He is planning ATG next month. Do I really need ATG therapy. I’ve read that non severe AA remits on its own. Is it true? I have no symptoms except mild weakness sometimes. it will be of great help to me if anyone can send suggestions to my email: mailto_jrajesh@rediffmail.com. Thank you very much. Please join us on facebook..aplastic anemia your fight is my fight. There are many members on there. 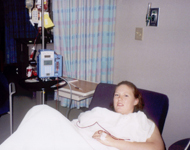 I was diagnosed at age 36 in 98 with SAA with 3 hemogobin and 14,000 platelets. I had the 5 day atg, along with six months of cyclosporine. No blood issues since just arthritis in both knees. Come join us at facebook …aplastic anemia your fight is my fight. i will your help to fight this what king of things do you use? What natural stuff did you do? I feel more comfortable with natural. Hi- thanks for your input. I was also diagnosed 4 months ago with AA. I would also like to go the natural route. One of my doctors is pushing me to do a bone marrow transplant. But I don’t want to go that route. What natural way do you recommend? Hi everyone! Wow I had no idea so many people suffered from AA. I was 15 when I was diagnosed, and I am now 18. For me, luckily one of my brothers was a bone marrow match. I had my transplant at duke, and now am AA free! However, I did have some transplant related Graft VS Host issues in my lungs but it is under control now thanks to some immunosupressive medications. I would advise anyone going through any kind of AA treatment to really keep an eye on your kidneys since the medication can really take a toll on them. Thank you for your story Robin. I am also in remission from a severe case of AA. I was diagnosed when I was 25 and, like you and everyone here, I experienced some horrible and frightening times. I did not have a donor match either, so I followed the same plan of care that you did. I didn’t suffer seizures; however, it seemed like everything else that could have gone wrong, did go wrong. At my worst, I was receiving platelets/red blood twice a week with my counts as low as 7 sometimes. It was a huge wake up call and I am fully aware of just how lucky I am to be alive. I have since gone back to school and I am trying to do whatever I can to make this second chance count! To those of you who are battling AA right now: staying positive is absolutely the only way to get through this disease; it makes all the difference! My wife was diagnosed 2 years ago. Two weeks ago she went for her immuno- suppresents. The doctor told her that her blood counts were off. She had an appointment last week at the cancer center. They chose to do bloodwork only because the other doctor had faxed her paperwork in. When she got there she was asked what kind of cancer she has. My wife told her that she didn’t have cancer. The nurse looked at the paper work and said are you sure because your bloodwork says you do. Friday her oncologist called her at work. He said something is major wrong with your bloodwork we need you to come in today. My wife couldn’t because of plans. He insisted she come over the weekend or asap. She has an appointment they are suppose to do iron pushes and fusions. He said they will do a different kind of treatment this time. She is calm but I am worried that she is very severe aplastic anemic or she has cancer. Last night her feet and legs were swollen so bad she couldn’t move them. She has had nose bleeds on and off for 4 weeks. She also has systematic lupus. Any thoughts? They did a bone marrow biopsy to officially diagnose my AA. You could ask about the biopsy, maybe. I hope they’re able to figure it out. I’ll be thinking about you – let me know what you find out. You were so young when you were diagnosed. I’m so scared with my husband being 33 already he won’t bounce back as easily or the treatment won’t work but trying to stay positive! Such a hopeful story! My husband was diagnosed with AA in May 2013 (he is 33) and he completed ATG about 7 wks ago and so far none of his counts have come up (except after transfusions) but then they steadily decline again. It has been very tough and I’m just curious how many months it took for you counts to rise after the treatment?? Like the other post said, thanks for sharing your story! My 6 year old son was diagnosed in March and did ATG the first of April. We are now 3 months post treatment. His ANC had stayed down in the 30’s but recently it hit 220. For us thats really good. Hopefully its a sign that somethings happening. He currently gets platelets once a week and red blood every 2-3 weeks. My husband was just diagnosed a month ago with severe aplastic anemia. As I’m writing this he is in bed with terrible joint pain and discomfort. He has just recently gone through the same treatment you did (ATG and is currently on cyclosporine) we are praying it works. After you received your treatment how long it take your levels to return to a normal range and stay stable? His are still scrolling quite low and only the transfusions are bringing them back up. Definitely helpful to hear stories such as yours to keep positive and optimistic about the future. Hope you are doing well! I remember that joint pain… ugh. It took a few months for my counts to come back up to normal – I remember going in for transfusions pretty regularly for a while after the atg. Hang in there! I’ll be thinking of you both! Thanks for contacting me and let me know if you have any other questions! You can help your body recover from Aplastic Anemia. We found a doctor, that has helped my wife turn her Aplastic Anemia around. Her platelets were crashing through the 50’s and on their way down when we starting talking to him. After four months (just as his book said it would take) her downward trends stopped, and have been steadily rising ever since, her last blood test showed her platelet count it 91!. He put her on a high powered, high quality mineral and vitamin complex that is balanced with all the right cofactors for maximum absorption. She had to go gluten free, and oddly enough she had to stay away from raw (crunchy) vegetables (because of what they do to the digestive system). He still encourages veggies, but they need to be stewed, steamed, or otherwise cooked enough to make them soft. Absolutely no fried foods, cook in butter only, on low temperatures, and take heavy doses of his mineral formula every day. I can give you more details if you’re interested. My e-mail is 35dbantique@gmail.com. His formula will also help him recover from his ATG therapies. Update…Great news. Sheri went in for her quarterly blood test. (done through a pharmacy, not in a doctor’s office, Sheri wants no more dealings with doctors). Her red and white blood cell counts are up again, platelet count is up to 98, and absolute neutrophils are into the normal range!! Hi! Thank you for sharing your story. I am an Aplastic Anemia patient. Doctors are still figuring what the right approach for me. I am very scared at times and very frustrated. Stories likes yours are an inspiration. Hi, Robin, I am also an aplastic anemia patient since Jan 14. The doctor has classified my case as non severe. Presently on Cyclosporine. Planned for ATG. Can you please tell me how much is the chance of non severe AA developing into Severe AA or very severe AA. My soon 19 was diagnosed this year and is 2 months after ATG. the past 2weeks his platelets increased but today they are down 5. It’s this typical at times. This was the first they actually went up on their own since this started in May.